At the Engineering Materials Live Show (11th May 2017) at the National Motorcycle Museum in Birmingham, precision sensor manufacturer Micro-Epsilon UK will be launching moldCONTROL, an inline thermal imaging system for the early detection of defects and quality fluctuations in injection moulded parts, including multi-layered or transparent moulded parts. 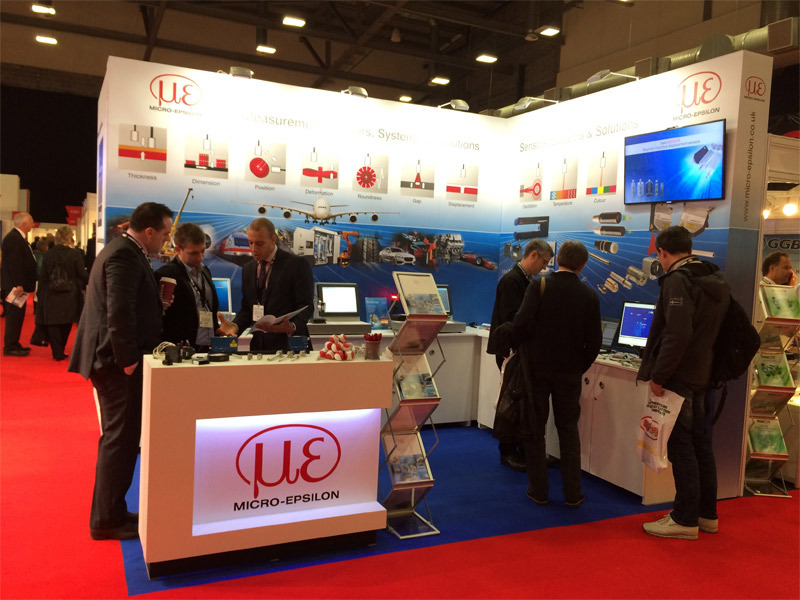 Micro-Epsilon will also be hosting a seminar at the show on ‘inline thermography’. The stand will include a demonstration of moldCONTROL, an inline infrared thermal imaging system for the early detection of defects and quality fluctuations in injection moulded parts. The system is well suited to large, complex, multi-layered or transparent moulded parts and can be easily retrofitted to existing injection moulding machines. Materials include all plastics, polymers, elastomers, rubber and even glass. If you’d like to learn more, Glenn Wedgbrow, UK Sales Manager at Micro-Epsilon, is hosting a seminar session on inline thermography (Seminar Theatre 1, 11.30-12.10). In this session, delegates will learn how to improve quality control in injection moulding; the effects of mould tool cooling circuit issues in final part production; short shot identification, even in 2-part component moulds; and how to improve productivity through process understanding. For those with a need to measure colour, the stand will feature the colorCONTROL ACS7000, an inline high speed colour measurement system that measures the actual colour of the target by identifying their coordinates in the colour space. The system can be set up to continually monitor a production process and output the colour measurement via Ethernet, EtherCAT or RS422. The system can also be taught ‘pass fail/limits’ and then output out-of-tolerance alarms using digital I/O. Existing applications include automotive paint inspection, colour measurement of car interiors, coloured glass, transparent film and sheet production, printing, packaging, medical technology, food, cosmetics, pharmaceuticals and in the processing of plastics, food, wood, paper, veneer and textiles. Visitors can also see a demonstration of thicknessSENSOR, an affordable and compact thickness measurement system for strip, plate and film targets. The fully assembled system is immediately ready for use ‘out of the box’, offers high accuracy measurements (to 10µm) and costs less than £10,000. The measurement system is designed to bridge the gap between customers’ own self-build solutions and the high cost, large investment thickness measurement systems that involve commissioning by the supplier’s own engineers. The fully assembled system comprises of a stable C-frame onto which two laser triangulation sensors are mounted. These sensors measure the thickness of strip, plate and film material such as plastics, metals, composites and fabrics. The compact controller integrated into the frame calculates thickness values and outputs these via analogue or digital (Ethernet, USB) interfaces.